On narrow shelves cut into steep rocky cliffs in northern parts of the world, vast colonies of common murres, tens of thousands strong, lay their uncommon eggs. The birds are highly adapted to their precarious existence: their eggs are conical so they roll in circles, rather than off a ledge and into the sea. The eggs also come in colors from deep blue to pale beige, with a seemingly infinite range of patterns of ruddy-to-blackish speckles. Laid on bare rock—so close together that a brooding parent might touch the one beside it—each egg’s unique look allows mother (and possibly father) murres to identify it as their own progeny. Establishing these details has been the work of Mark Hauber, an animal behavior researcher at the University of Illinois at Urbana-Champaign. Building on previous work, Hauber’s latest additions to the field are two revelations: year after year a female murre will produce an egg with a shell pattern that has an individualized, recognizable pattern that is nearly identical to her previous eggs, by manipulating just two pigments, biliverdin and protoporphyrin IX. And this ability is genetic. These findings offer new insight into the reproductive abilities of common murres, but they also have hopeful implications for the survival of murres and other birds as they experience the evolving effects of climate change. Studying murre eggs is a challenge in North America because only some groups of Indigenous gatherers are allowed to harvest them. To acquire the eggs for his research, Hauber exploited a loophole and enlisted some oblivious partners: American herring and great black-backed gulls that pirate common murre eggs, and eat them back in their own habitats. Hauber’s team collected 50 eggs from the gulls’ legally forageable colonies. He also worked with eggs laid by eight female birds that live in zoos. In the lab, Hauber’s team measured the predated eggs’ thickness and the density of pigments. They also measured the spectral reflectance, which lets them understand how the eggs would appear in murre vision (birds see greens and violets better than people can). Hauber and his team also tracked how the eggs of the zoo-resident murres changed over four breeding seasons. Conclusion: the way an egg looks is determined by each female’s individual genetic code, allowing her to repeat the same color and pattern over and over. Common murres’ uniquely colored and speckled eggs are an adaptation to their dense breeding grounds, Hauber says, but future pressures might lead them to change their eggs for other reasons. For example, egg pigments block the sun’s UV rays, “so birds finding themselves in a more exposing environment should be able to select for laying darker shells,” he says. Grant Ballard, an ecologist and chief science officer at Point Blue Conservation Science in Petaluma, California, studies murres on the Farallon Islands, where 19th-century gold rush settlers almost ate the birds out of existence. He’s seen white murre eggs there, a response, possibly, to increasing heat. “The temperature ranges an embryo can survive are narrow,” he says. Ballard says the murres’ highly adaptable eggs are “like magic,” but he wishes humans would exhibit similar versatility. Last year, depleted fish stocks led to a precipitous decline of Alaskan murres, and Ballard says that while climate change is implicated, it’s time for a renewed look at managing the fisheries that are increasingly competing with murres for anchovies and sardines. “We need to change our ways to give these species a chance,” Ballard says. 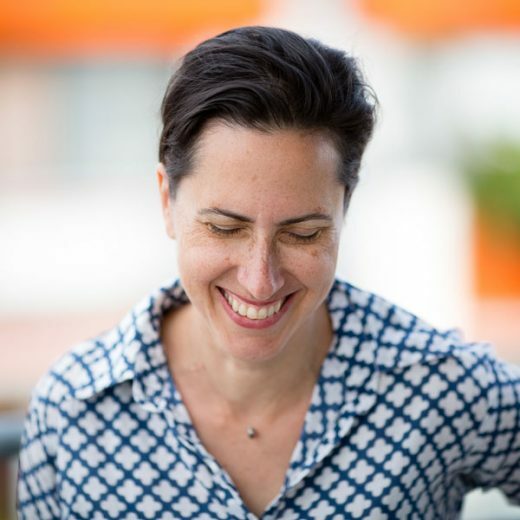 Lela Nargi is a veteran journalist covering food policy and agriculture, sustainability, and science for outlets such as the Washington Post, JSTOR Daily, Sierra, Ensia, and Civil Eats. She’s also the author of science books for kids. Cite this Article: Lela Nargi “Common Murres’ Incredible, Colorful Eggs,” Hakai Magazine, Apr 17, 2019, accessed April 23rd, 2019, https://www.hakaimagazine.com/news/common-murres-incredible-colorful-eggs/. Scientists have a new explanation for why guillemots lay such pointy eggs. On the remote western Aleutian Islands, birds wove their way—sometimes literally—into every facet of Aleut life.